Winterkorn: Porsche will not get a factory outside Germany. 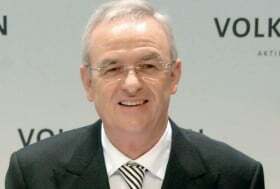 WOLFSBURG,— Volkswagen AG will add about eight factories within seven years, VW group CEO Martin Winterkorn said. "By 2018 we will be operating about 70 factories," Winterkorn told Automotive News Europe in an interview at company headquarters here last week. The group now has 62 factories worldwide. One of the eight likely will be a North American plant for Audi. Said Winterkorn: "With good reason, Audi is considering production in the dollar zone. Where, specifically, is under discussion right now. But they need at least 150,000 units for a reasonable utilization of capacity." The Q5 and the A4 are models that may be produced in North America. Sources say Mexico seems more a likely location for an Audi plant because of tax reasons, plus VW's announcement a few months ago that it would build an engine plant in Silao, Mexico. "Starting in 2013, about 300,000 engines per year will be manufactured in Silao for North America," Winterkorn said. For the first time, Winterkorn clearly ruled out North American production for Porsche: "Like no other brand, Porsche stands for 'made in Germany.' I don't think the issue will be on the agenda in the foreseeable future." Some 40 of VW's 62 factories are in Europe. Any new factories are likely to be opened outside VW's home region. Said Winterkorn: "We basically manufacture where the demand is. For this reason, we have built new factories in Russia, India and the U.S. in recent years." China will play a major role in the group's expansion plans because VW expects its biggest growth there. "In absolute terms, China's overall market for cars and light commercial vehicles will grow the most," he said. "Growth of more than 50 percent to more than 28 million units is expected by 2018." Winterkorn said that more than two additional plants in China are possible. Said Winterkorn: "In China, we just expanded our Chengdu factory and approved the financing for two more factories, in Foshan and Yizheng, by 2013. If that market keeps growing the way it has, even more facilities are conceivable."